Tatsuki Ohji is a Fellow of National Institute of Advanced Industrial Science and Technology (AIST) and a Designated Professor in the Graduate School of Science and Engineering, Meijo University, Japan. BS and MS in mechanical engineering from Nagoya Institute of Technology and Ph. 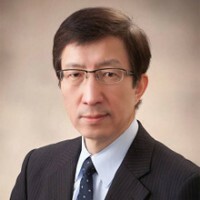 D. in inorganic materials engineering from Tokyo Institute of Technology, he has authored or coauthored more than 350 peer-reviewed papers and 20 book chapters, edited more than 40 books and conference volumes, chaired or co-chaired more than 40 international conferences and symposia, and holds more than 40 patents. His research interests include mechanical property characterization of ceramics, ceramic composites and porous materials, microstructural design of ceramic materials for better performance, structural control of meso/ macro porous ceramics, and green manufacturing of ceramic components. Fellow of the American Association for the Advancement of Science (AAAS), The American Ceramic Society and ASM International, and Academician of the World Academy of Ceramics, he has received numerous awards including John Jeppson Award, Samuel Geijsbeek PACRIM International Award, and ECD Bridge Building Award all from The American Ceramic Society, Academic Achievement Award from the Ceramic Society of Japan, IIM Lectureship Award from ASM International, Honour Medal of Aurel Stodola from the Slovak Academy of Science, Lee Hsun Lecture Award from Chinese Academy of Sciences, and Distinguished Research Achievement Award from the Japan Society of Powder and Powder Metallurgy. He currently serves as a Director of the American Ceramic Society and an Editor-in-Chief of “Ceramic International” in addition to an editorial board member of many international journals.